We tested four screen cleaning wipes and sprays to see which got rid of sunscreen smudges. Here's what will keep your phone clean and clear this summer. I’m an open-water lover through and through. I grew up spending summers — and even some chilly winter days — visiting the beaches of Rhode Island and camping out in the sand for hours on end. If there’s one thing I learned, it’s that the beach plus a smartphone rarely makes for a happy combo. 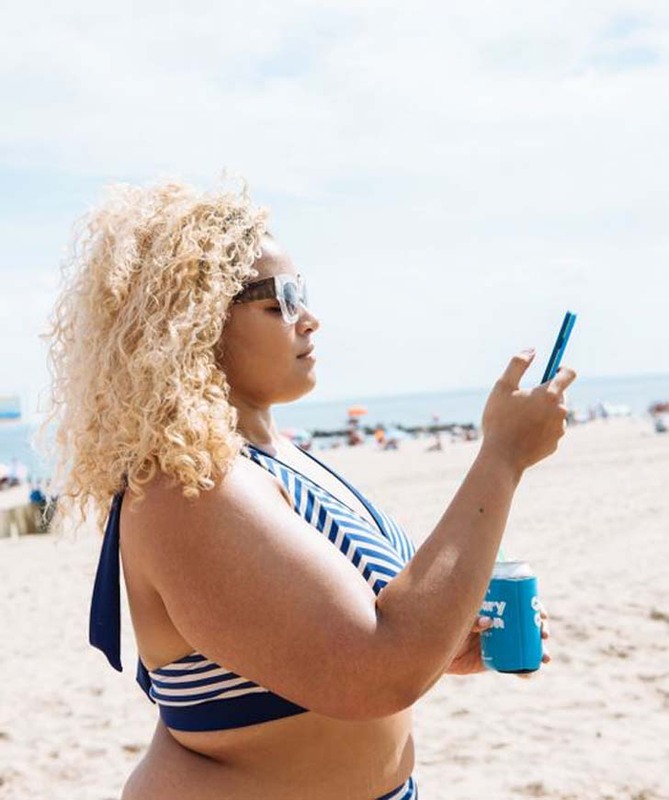 [post_ads]If you’re also a beachgoer (or, really, anyone who partakes in a summer activity involving sunscreen), you know that it’s not unusual to end up with SPF 50 on everything in your bag including your phone screen. Texting with a drink in hand by the ocean? Perfect. Trying to text when your screen is too blurry to even read? Not so much. The best way to clean your iPhone is to do what Apple recommends and use a “soft, lint-free cloth,” such as a lens cloth. However, sometimes it takes more than a cloth to get sunscreen smudges and other beachy residues off of your screen, which is why many companies have developed device cleaning wipes and sprays. Ahead, I put four options to the test to see which stood up to its promise of a clean and clear screen. Click through for the results — and some must-know user tips if you do decide to buy one. iCloth Avionics Screen Cleaning Wipes, $9.74 for a 24-wipe pack, available on Amazon. The smell of the wipes isn't pleasant — it's a scent very similar to that of nail polish remover — and it lingered on my fingers a bit after using it. As far as cleaning effectiveness goes, I was relatively impressed with how quickly the wipes got rid of the sunscreen. However, I needed two wipes to effectively clear all of the smudges. On the plus side, after the full, two-wipe cleaning, there was no film on the screen and it looked good as new. Endust END14712 Soft Pack Screen Wipes, $4.48, available on Amazon. Unlike the individually wrapped iCloth wipes, the Endust version are packaged like make-up removing wipes. That means there's a bit more potential they'll dry out, especially if you don't close the pack properly after each use. Each sheet is about two-thirds the size of the iCloth, and while it smelled fresher, it did not clean nearly as effectively. I was left with more blurry streaks on my screen as well as some white residue that appeared to come from the wipes. Awesome Wipes, $9.82, available on Amazon. Awesome Wipes performed roughly as well as the Endust wipes, with the main difference being that they didn't leave any white residue. The wipes smelled very alcoholic and once again, I needed to use two of them to get all of the blurry marks off of my screen. Whoosh! Screen Shine, $20, available on Whoosh.com. Whoosh! offers screen-cleaning sprays packaged with microbial microfiber cloths, as well as screen-shine wipes. I opted to test the spray, and I'm glad I did — it blew away the competition. The spray is completely odorless and after a few spritzes on the microfiber cloth, all it took was one back-and-forth swipe across my screen to clear it of all sunscreen and residue. Yes, it's slightly less convenient to take on the go since you'll need to bring the microfiber cloth, but it's worth it if you want to safely clean your screen. Plus, if you buy the full Screen Shine set, you also get a 0.3-ounce bottle (roughly the size of a rollerball perfume) that's perfect for travel. Whoosh! was the clear winner. It cleaned my screen without leaving any film, and my fingers weren't left smelling like I spent the morning removing nail polish. If I had to pick a second favorite it would be iCloth, with Endust and Awesome Wipes tying for third. If you're using Whoosh! make sure to abide by Apple's rules of the road: Only spray the cleaner on the soft cloth (not directly onto your iPhone) and, if you don't have the cloth on you, wait until you do instead of opting for an alternative like paper towel. The rougher material could hurt your screen. Plus, the less you can use a screen cleaner on your device the better: iPhones have an oil repellant coating that becomes weaker when you put any sort of spray or wipe on it. The better care you take of your phone now, the more likely it will last until it's time to upgrade.